Okay so I bought a few things from a local cash n carry here. The "Ponds pure white facewash" is my HG facial cleanser and I have been using it for about 3-4 years now. I love this face wash and it really cleanses the face deeply. The "Olay essential beauty fluid" was recommended by the lovely Huda from Sparkling Makeup Blog. I trusted her words and bought this and I actually like it a lot. Thanks Huda :) I also picked a bottle of "Saeed Ghani rosewater". I never tried rosewater for skin/ setting makeup but after hearing a lot of good things I wanted to give this a try. I got the Johnson's face wash from D.watson. I always use clean and clear exfoliating face-washes in the morning but I wanted to try something new and mild this time for winters. The sales girl convinced me to try this face wash as it's very gentle and is not harsh on the skin. I haven't used this yet. Will share my thoughts on this after trying. Then, I bought the Everyuth mask from Al-Fatah. I guess this is the first face mask I have purchased from Everyuth. I read a lot of positive reviews on this golden glow mask so picked this up to give this a try too. Okay so that's all for now... Hope you enjoyed my haul post. Will be sharing product reviews and experiences soon. Follow "The Lipstickholic" on Facebook, Instagram and Bloglovin to stay updated... !!! 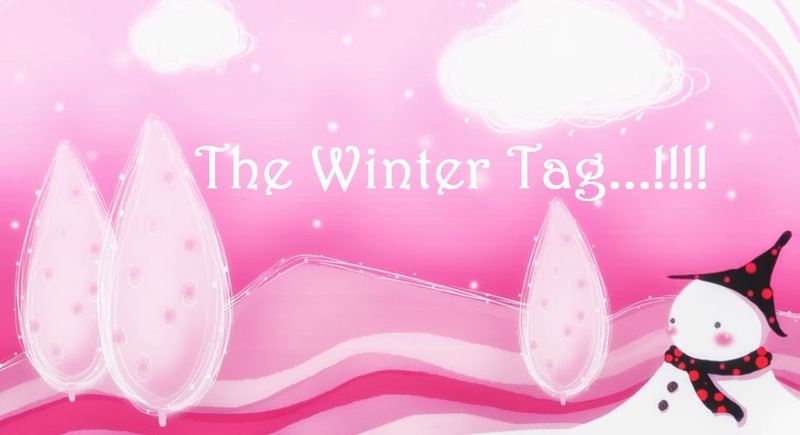 Q1) What's your favourite winter nail polish? Okay so firstly let me tell you that I don't wear nail polishes a lot because of my extremely short nails. I only use nail colors occasionally. But if you ask about my preferable shades for winter then those would be berry, wine or dark pink nail colors. 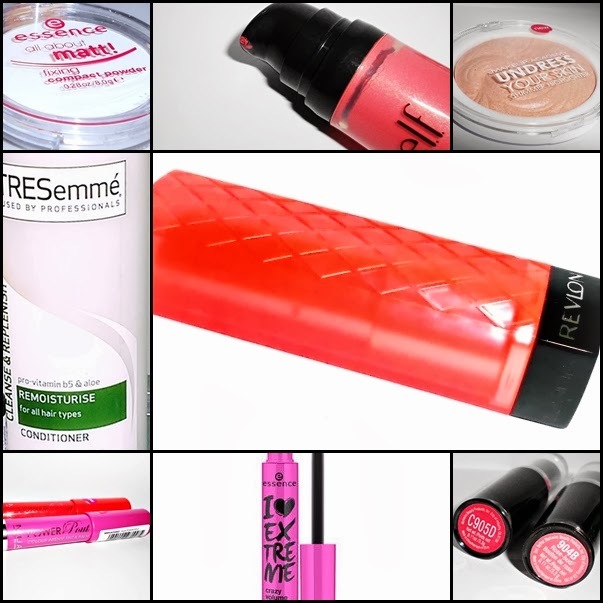 Q2) Favourite winter lip product? Lip balms...!!! I love tinted lip balms and my favorite are the "Labello Fruity Shine Lip Balms" in strawberry and cherry. Q3) Most worn winter clothing piece? I love wearing mid-length smart sweaters for outdoor. While at home I love my warm woolen casual hoodies and sweaters. 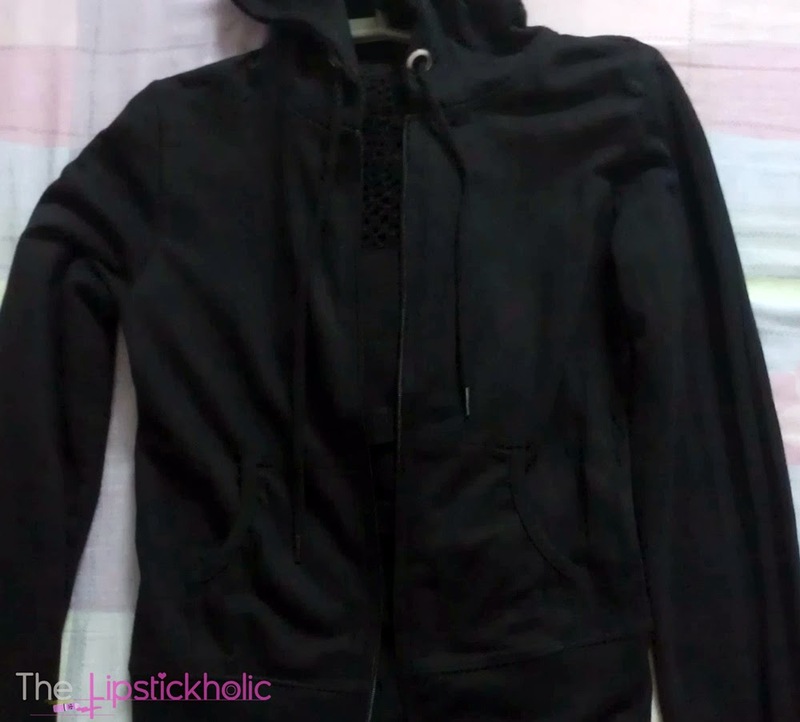 I've been wearing this black warm hoodie/upper this season a lot at home. Q4) Most worn winter accessory? For accessories it has to be either woolen stoles or socks. I like matching stoles with my dresses in winters instead of big shawls and socks are something which keep my freezing cold feet warm. Ummm to be honest, I don't really use any season-specific scents. But talking about winters, I love the smell of yummy baked choco cake.....yummm...!!! Green tea, Kashmiri tea and Coffee... Love all of them. Q7) All time favourite holiday movie? I don't really watch a lot of movies. 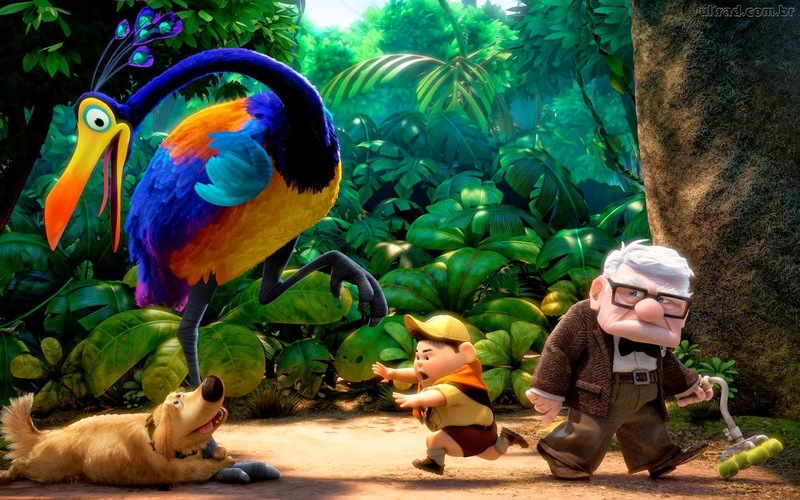 But ya sometimes when I feel bored, I do and what I love to watch is animated movies. Right now, it's frozen...I love it. But my all time fav would be any Disney movie. 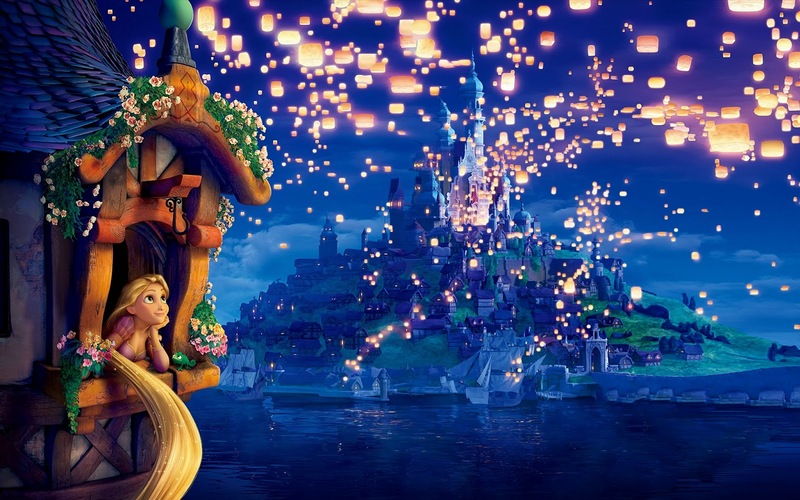 "Tangled and UP" are my two absolute favorites. My favorite holiday treats are hot n sour soup, Pasta, Chinese food (my fav), Paaye made by my Mom, and many many more..... There's a long list actually. Q9) What's at the top of your wishlist? A lot of things...But ya right now, RT brushes and any good foundation plus some high end lipsticks. Q10) Your plans for winter holidays? Hope you all enjoyed reading this post. Don't forget to leave your comments. This year am going to spend some money on RT brushes IA :) And yes, one more important thing that I am going to do is, focusing more on my skincare routine. I spend more money on cosmetics than on skincare products. But this year am also planning to establish and follow an effective skincare routine too. 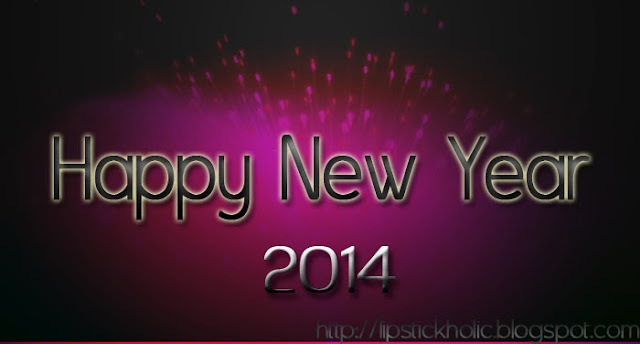 Am I the only lazy blogger in the circle who hasn't shared her favorites post for 2013..?? lol.. Well I started blogging just 3 months back so I thought it would be a little too early to write a "favorites" post for a whole year. But here you can have a quick look at few of my favorite products from the past year. For body goals, I'll try to include some sort of exercise in my daily routine. It can be anything from a daily walk to cycling or something even more just for strength and to keep myself active. As for beauty goals, again I'll follow some skincare regime strictly. I'll also try a few desi or natural remedies/totkas such as home made masks and rosewater spray and will later share the results with you all too. Well I ordered one Essence foundation online and the shade was a mismatch. Also, I ruined a few of my dresses by sending the tailor wrong measurements, uhhh that was so silly of me. Oh and yes I went for a haircut just a day before a special event and the haircut was a DISASTER, that girl chopped my hair so roughly and gave me very short front bangs...which were impossible to deal with the next day on the function . I guess I should have went for the haircut a bit earlier. My fault...!!! No problem, this is how we all learn, don't we... ??? Well this year the same bold brows and bold lips trend will remain in. Talking about fashion and clothing, I really hope and wish that "Churidars" and "Long shirts" remain in this year too. Although I was in love with the patiala shalwar and short shirts trend but I love long shirts and churidars even more now as they seem very elegant and classy. Sharpen your eye pencils and brow pencils as you will be using them a lot. Have pretty bold lip colors (Pinks, Orange, Fuchsia) in stock. Don't forget to buy a few colorful floral tights/ leggings. "Forget the bad, focus on the good. Love the people who treat you right and pray for those who don't. Falling down is a part of life, getting back up is living..... "
Don't forget to leave your comments on my first "Tag Post"
Starting with the packaging this blush comes in a round plastic blush containers. One thing I'd like to mention is that the lid of this container is very tight, and makes a loud click sound upon closing. 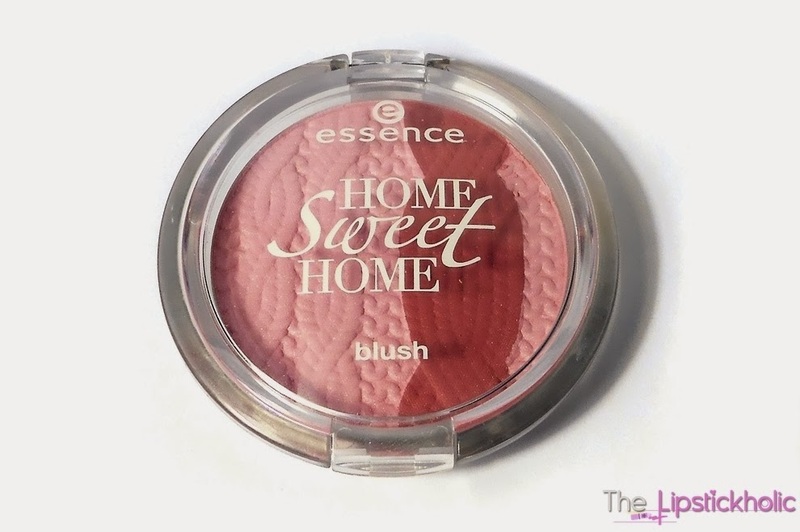 The packaging of this blush is a bit bigger than the previous silky touch blushes by Essence. Overall the packaging is okay. What actually caught my eye is the embossed knit pattern of the blush inside which looks so cute. This blush is very pigmented. When I first swatched this blush on my hand, the pigmentation seemed just reasonable. But then, when I applied it with a brush on my cheeks, it was really very pigmented. 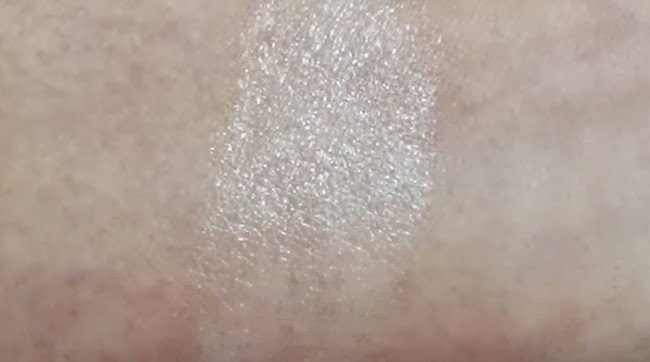 The lighter shade is not very pigmented if worn alone. It appears as a very light shimmery silverish pink shade. However, the darker shade is highly pigmented. It appears as a bright matte pink/rosy shade. I swirl my blusher brush in the pan to mix both the shades, then tap the access and apply it very light-handedly on my cheek bones to add a lovely pop of color to my cheeks. This blush feels so silky and smooth. 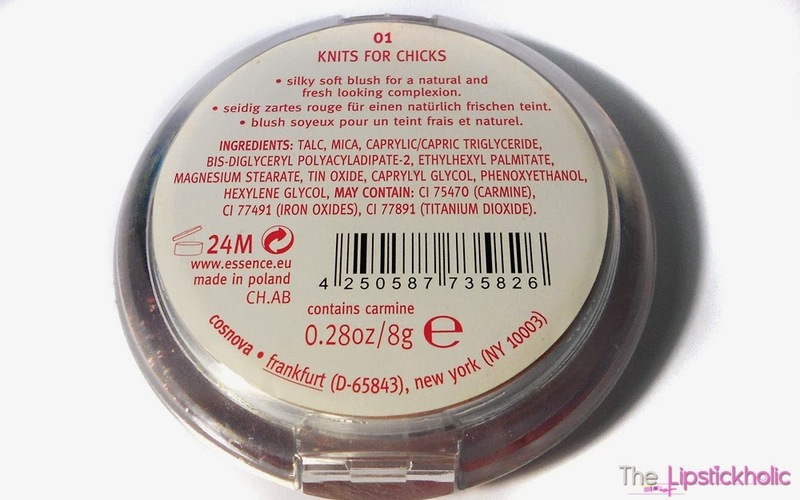 There are no harsh chunks of shimmer or glitter in this blush when applied, rather it adds a nice sheen to the cheeks. When blended together, it appears as a perfect medium rosy pink shade for winters with a pretty sheen. 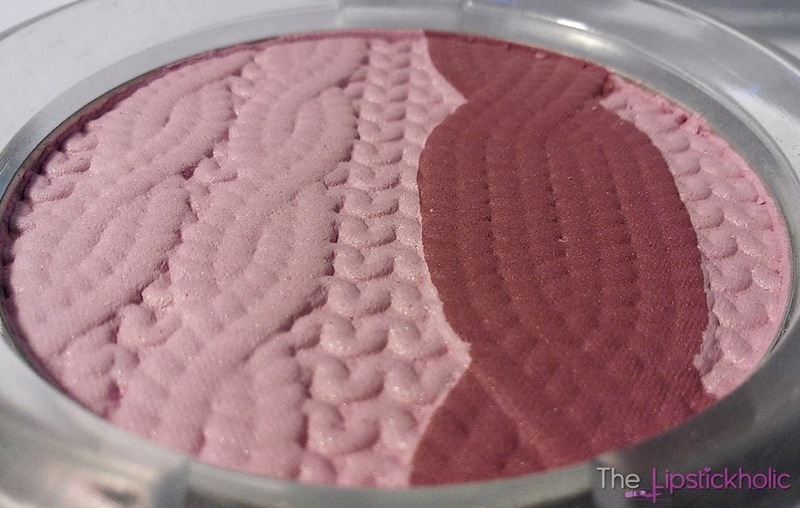 This blush is incredibly soft in texture. In fact, it is so soft that it may lead to fall out in the pan. So, be careful about that. Here are the swatches of this blush. The first picture shows both shades swatched separately and the second picture shows how the blush looks when blended together. Overall, I love this blush. The staying power of this blush is pretty decent too. It's not great but not poor too. After about 4 to 5 hours, there is still some noticeable tint of color on the cheeks. I am loving this color for winters and soon planning to get the coral/orange shade from this range too. 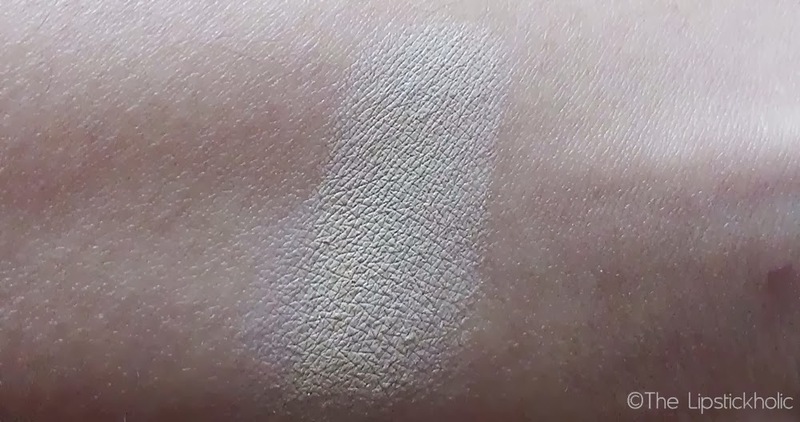 The Lighter shade may appear less pigmented if worn alone. Price & Availability: I bought this Blush for PKR 440/- only from D.Watson. The Essence Home Sweet Home Collection is now available at selected Essence counters across the country. 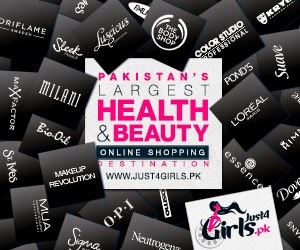 Also available online at Just4girls.pk. For International readers, Essence Home Sweet Home Collection can be found at "Target" for about $ 5.50. Have you tried anything from the Essence Home Sweet Home Range..???? Don't forget to leave your thoughts on this review. Don't forget to follow "The Lipstickholic" via GFC. I know there is still a looooong way to go and I have to achieve much higher milestones IA, but to celebrate my 100 plus Facebook fans and to thank all my lovely readers am hosting this first giveaway on my blog.....yayyyyyy!!! Follow my blog (The Lipstickholic) publicly via GFC. All contestants are required to follow the above mentioned rules to enter this giveaway. Don't forget to leave your GFC and Facebook names along with your Facebook sharing links in the comments section of this post given below or else your entry will not be counted. 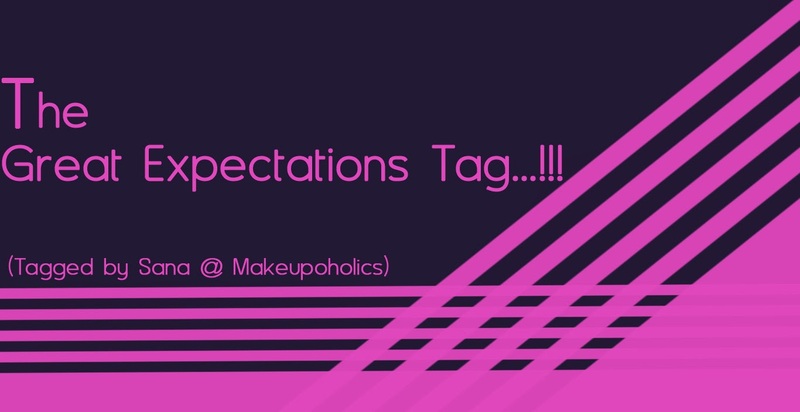 Again for additional entries, don't forget to leave your Instagram and Bloglovin names along with any blog post/sidebar links in the comments too. "One Lucky Winner Will Win The Avon Planet Spa Blissfully Nourishing Hand and Foot Treatment Gift Set"
- The giveaway is open to residents of Pakistan only. - Participants with multiple entries will be disqualified. - The giveaway ends on 31 Jan, 2014. - Any entry after 31st of Jan, 2014 will not be counted. The Winner will be chosen randomly and announced on 1 Feb, 2014 on the blog. 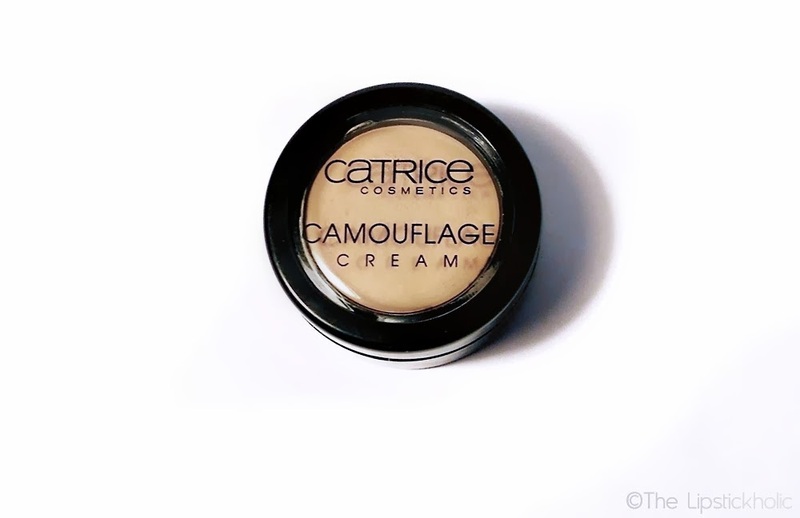 Review: Catrice Camouflage Cream in "Ivory"
Catrice camouflage cream comes in a little black plastic pot like container. The small pot is travel-friendly and convenient to use. The texture of this concealer is thick and creamy. The texture of this concealer is almost solid inside the pot (may be because of the cold weather these days). But still, the concealer is easy to swatch and use....yaaay..!!! When I first tried this concealer I was seriously blown away by the coverage it provides. I mean WOW it really covers well. A sheer layer of this concealer is just enough to do the job. Don't apply too much or it may look a bit cakey or even claggy. I take a very thin layer of this concealer on my finger tip and then apply it under my eyes where I need the most coverage. For blending, I tap this concealer gently into my skin using the same finger and it blends so well. You can use a concealer brush if you like. I have dry/combo skin in winters and this concealer does not enhance any under eye dryness. It doesn't crease or settle into fine lines for me. If you still feel that you can have the creasing issue with this cream concealer then don't forget to set it with a good setting powder. The only issue I have with this concealer is the limited shade range. I picked the lightest shade for myself but the shade is actually lighter when applied than it looks in the pot. It looks fine on my skin tone especially when applied over my foundation but I still feel mixing this shade with a slightly darker shade will create an even better match for me. In the above picture I have applied only a very thin layer of catrice camouflage cream in "ivory" without any primer, foundation or powder. 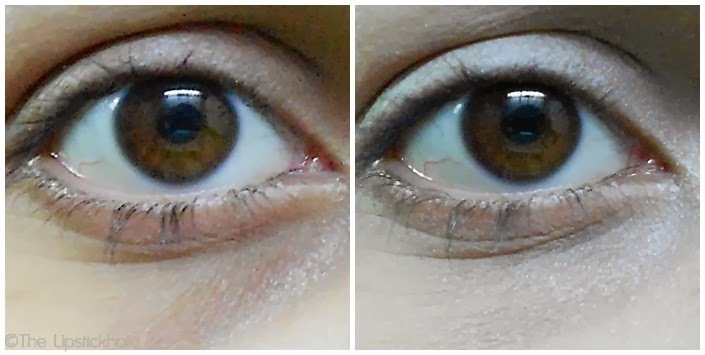 You can see that it covers the dark circles really well and doesn't look cakey. Overall, I love this concealer a lot and I think it will work even better for covering blemishes or pimples. The best part is the staying power of this concealer. It lasted on me almost all day which is greattttt. Price & Availability: I bought this concealer from online store Just4girls.pk for PKR 580/- only. Hope you like this review. Don't forget to leave your comments and make my day.....!!! Don't forget to follow my blog via GFC (widget on the right). 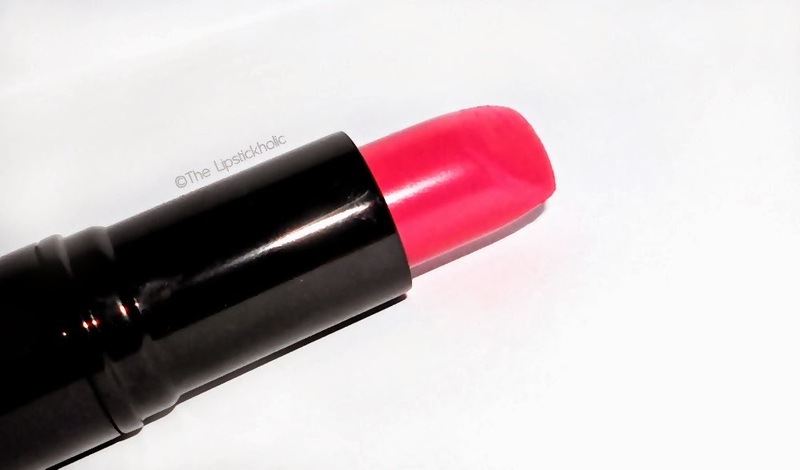 Today I have another lip product review for my lovely readers. 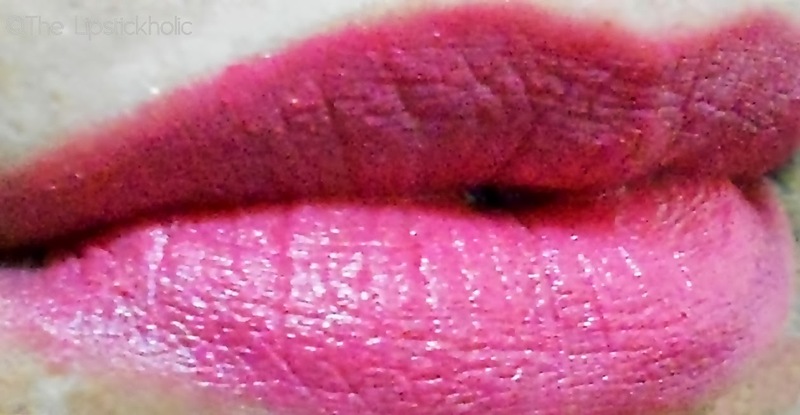 Am going to review the "Artdeco Perfect Color Lipstick" in shade 36/pink thistle. I bought this lipstick a few months back and love it. I mentioned this lipstick in my favorite pink lipsticks too. Therefore, I decided to do a review on this lipstick for all of you. 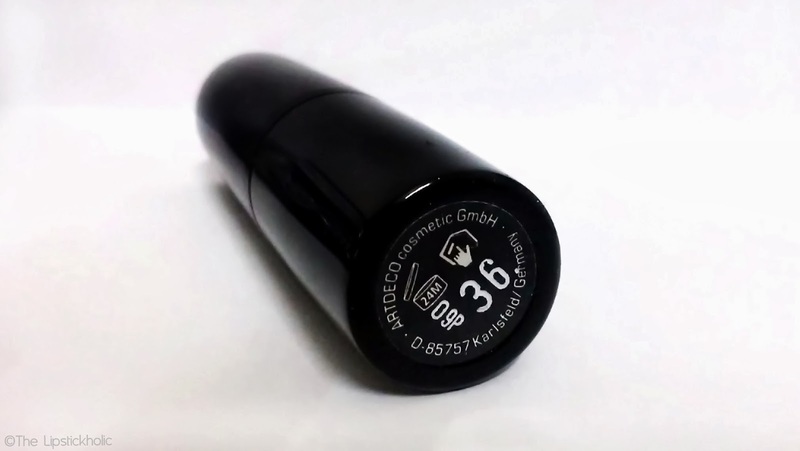 This lipstick comes in a black round aluminum sleek packaging. The texture of this lipstick is very very very creamy. It glides on the lips so smoothly. This lipstick feels very lightweight on the lips. I don't like lipsticks that feel heavy on the lips but this one really feels so comfortable. This lipstick feels hydrating on lips and leaves the lips soft and supple after application. 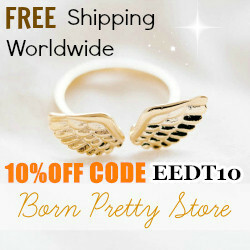 It has a satin finish which looks quite subtle and can be worn easily. I bought this lipstick in shade 36 which is named "Pink Thistle" on the website. This is a gorgeous warm rosy pink shade. This lipstick has good pigmentation. The coverage it provides is medium to opaque. The first swipe provides a semi-opaque layer of color to the lips and you can swipe again for greater coverage. I love this shade a lot. The shade is actually slightly more darker than the lip swatch that I have shared below. 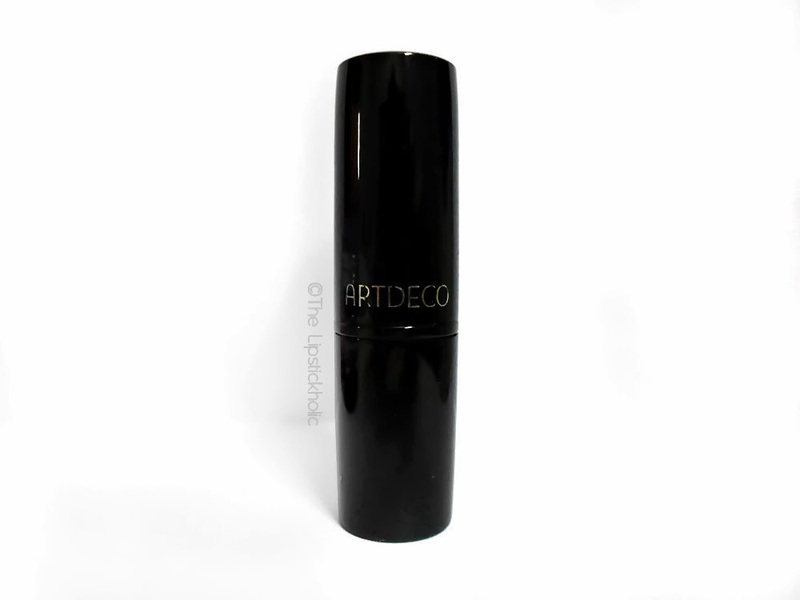 Have you tried the Artdeco Perfect Color Lipsticks...??? Don't forget to leave your comments on my review. If you like my reviews and posts don't forget to follow my blog via GFC...!!! So winter is at it's peak and I recently discovered this new Lip Butter by Labello. I mentioned this lip butter in my last haul post and have been using this for over a week now. What the Labello Lip Butter claims: "The indulging Lip Butter formula pampers lips and relieves dry, chapped lips. It seals in moisture in your lips long- lastingly and leaves the sensitive skin of the lips well protected against the external influences"
Starting from the packaging. This lip butter comes in a small flat round container. The lid of the container is very tight which makes it travel friendly too. The small container contains 19ml of product. Inside the container you will find the thick white lip butter. The "original" lip butter has no particular taste and smell. 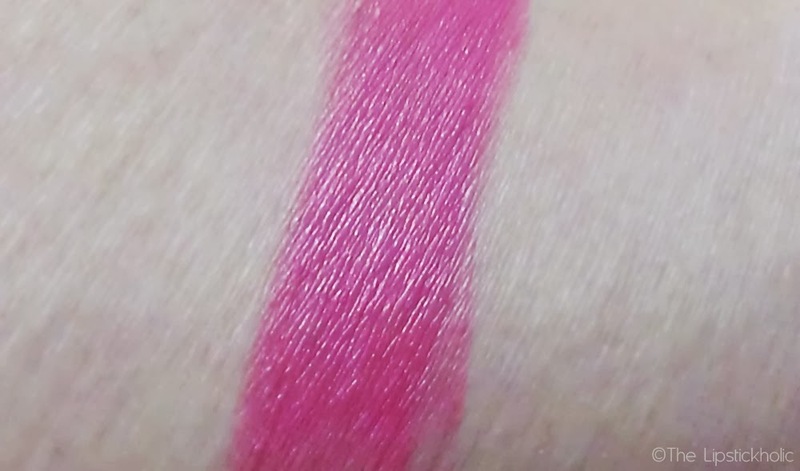 There were two more lip butters available (a pink and a cream one).I bought this in winters so when I opened it the texture of the butter looked solid and hard because of the low temperature but once I pressed my finger against it, it felt very soft and creamy. I think storing this lip butter will be an issue in summers because of it's soft and buttery texture. Since it's a lip butter, it's texture is a bit thicker than regular lip balms. But still, it does not feel heavy on the lips. However, if you have always used regular lip balms, you may find it a bit heavy/thick. It applies smoothly on the lips and makes the lips feel soft and smooth. This lip butter absorbs easily into the lips and I don't find it greasy or sticky. Am glad because I hate sticky lip products. It really hydrates the lips well and the hydration does last long enough. Also, it adds a little shine to the lips but the shine disappears after sometime. Price & Availability: I bought this lip butter from D.watson for PKR 265/- only. Labello lip butters and other lip care products are now available at all leading cosmetic and drugstores in Pakistan. Have you tried the labello lip butters...??? Don't forget to leave your comments and thoughts on this review...!!! If you like my reviews and posts, don't forget to follow my blog via GFC. First Beauty Haul of 2014...!!! Hope you all are enjoying your first week of 2014. Today am sharing the first beauty haul of this year. This is a mini haul but all of these things were purchased around 1st of January and I just cant wait to share my hauls with you all. Therefore, I decided to do a quick "New Year Haul" post for my lovely readers. I bought 2 items from Just4girls which were on my wishlist for 2013. Glad they were in stock just when the year was about to end. I am not so into eye shadows. I only have a few small eyeshadow palettes or quads but since I have started my own beauty blog, I needed this palette for creating a few eye looks and tutorials this year. The rest of the items were purchased from D.watson. I love the St.Ives scrubs since forever. I have used the older version of apricot scrub for many years and have also tried a few other scrubs and skin care products from them but am gonna try this "Fresh Skin Apricot Scrub" for the first time. For my daily morning face wash/cleanser, I love "Clean & Clear", especially their morning burst range is my favorite. As winters are at it's peak so my skin needed something mild, without any granules or beads. So, I picked up the "Neutrogena Deep Clean Cleanser". This one is for all skin types. Don't forget to follow my blog via GFC widget on the right. Hope you all are well. Today is the first day of the new year and am not gonna post any review today. Am writing this post to share my goals and thoughts for the year "2014" and most importantly to wish all my lovely readers A VERY HAPPY NEW YEAR...!!! To get my blog recognized and increase my number of GFC, Facebook , Instagram and other social networks followers. Trying different new brands and products that I haven't tried yet and review them for my readers. Keeping myself up to date with all the latest Western and Eastern makeup and fashion trends. Adding more categories in my blog such as "Blog Sales", "Hair products" or a separate category for "Tutorials". Improving the look and feel of my blog. 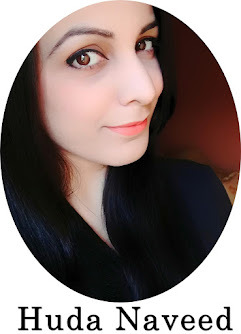 And last but not the least, to prove myself as a talented, independent Pakistani beauty blogger IA. I would like to thank all my readers and fellow bloggers for being a part of my blog and showing their love and support for this new blog. With honesty, love and determination am sure I will be able to achieve my aims and goals. Am pretty excited and looking forward to a great blogging year ahead...!! !